For Thanksgiving, our good friend Alan went back to Washington to visit his family at the meatball orchard. While he was there, he plucked dozens and dozens of fresh meatballs from his family’s meatball trees to bring back to us here in Dayton. After the family festivities were over, he put the meatballs in his refrigerated backpack (we are all about food safety, of course), and began his hike back to Dayton. As he hiked back to Dayton, he planted meatball tree seeds all across our great country. So when you look out the window as you’re driving down I-70 on a roadtrip, and you see a meatball tree, you’ll know that Alan was there! 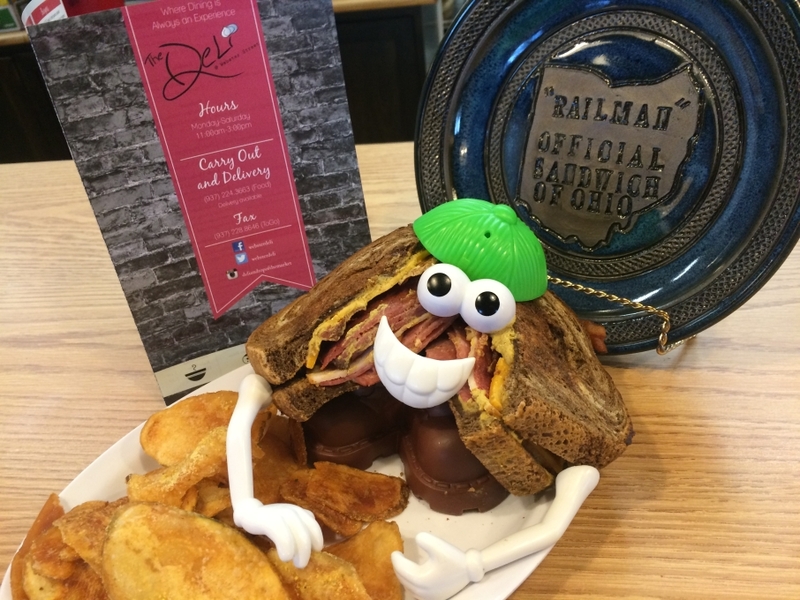 In honor of Alan’s journey and his family’s famous meatball orchard, we have Alan O’s Famous Meatball Sub! 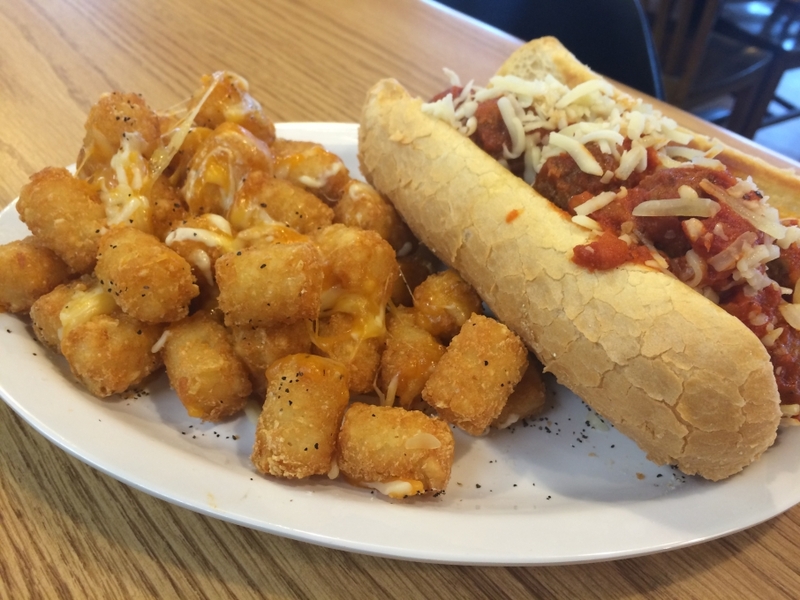 Meatballs covered in marinara and blasted with our super cheese blend on a turano, with a side of cheesy tater tots for $8.75! 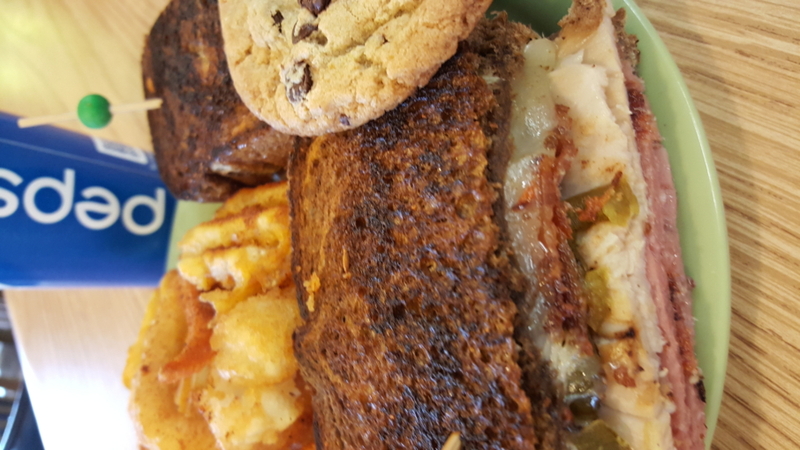 Soups today are Chicken Dumpling, Italian Wedding, and Baja Chicken Enchilada as well as Chili, Chicken Noodle, and Lobster Bisque! 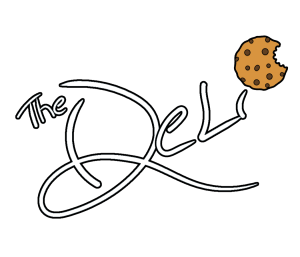 Don’t forget – tomorrow is the first day of Deli Christmas! 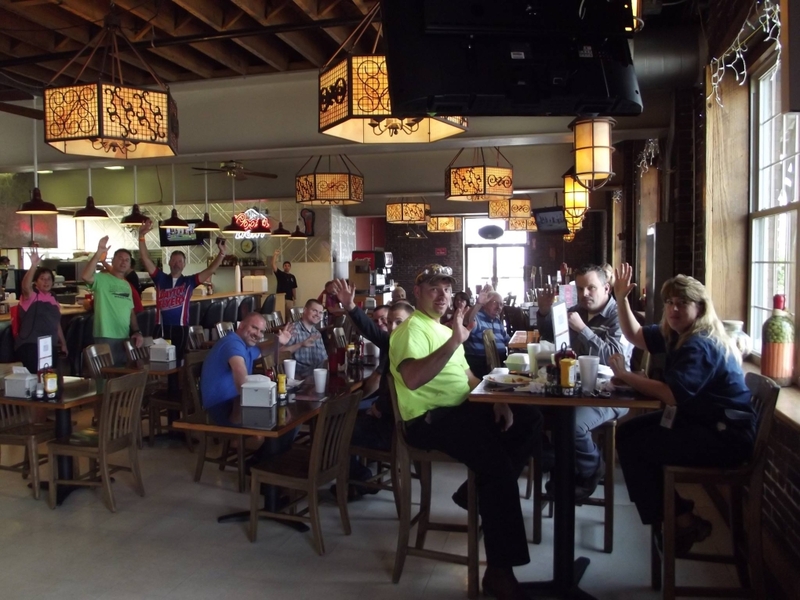 We are celebrating the #NationalGivingDay! Bring in any canned good tomorrow and receive a free cookie and fountain drink. 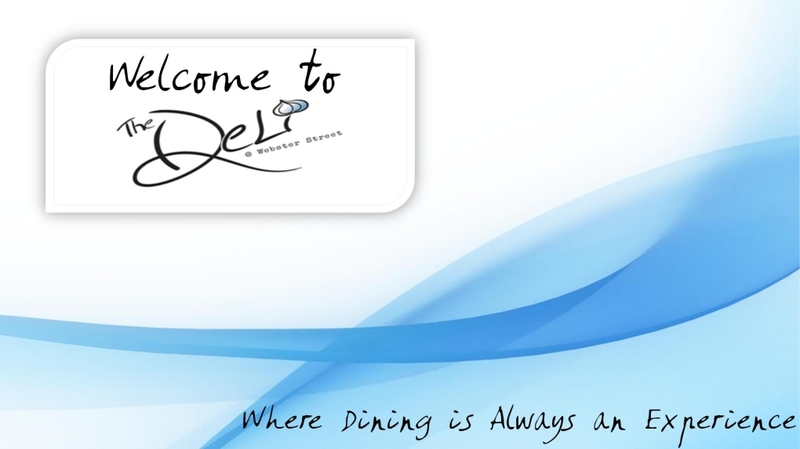 The Deli will match all donations and donate them to St Joseph at The Glen and St Vincent de Paul! Have a great day Washington! 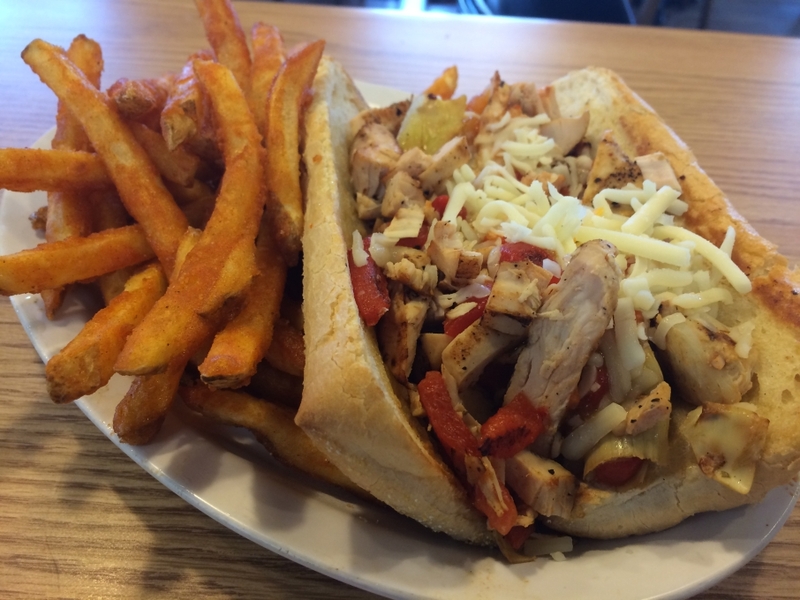 Today we have grilled chicken topped with roasted red peppers, artichoke hearts, a peppadew-mango salsa, and blasted with our super cheese blend with a side of spicy fries for $8.50! Soups today are Baja Chicken Enchilada, Broccoli, Cheddar, and Tomato Tortellini as well as Chili, Chicken Noodle, and Lobster Bisque! Have a great day Virginia! We leave Vermont and head to Arkansas where the locals have generously shared their local cuisine: Chicken Bacon Philly Potato Cups! 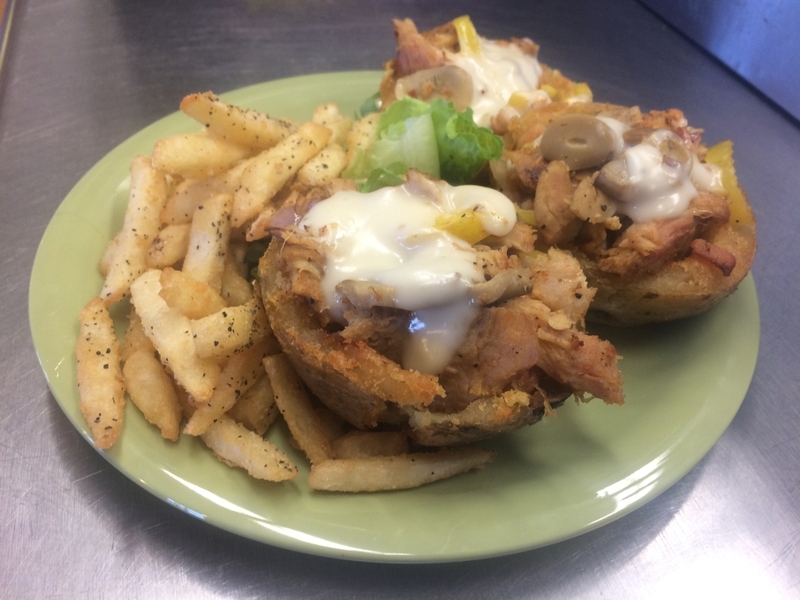 Today we have potato cups stuffed with shredded chicken, bacon, mushrooms, onions, and banana peppers and topped with a white cheddar cheese sauce, with a side of Thundercrunch fries for $9.00! Soups today are Broccoli Cheddar, Tomato Basil, Parmesan Kale Italian Sausage, as well as Chili, Chicken Noodle, and Lobster Bisque! The good news for Dayton is that Arkansas still celebrates Free Cookie Friday! Have a great day Arkansas! After our travels in the Dakotas, destiny has led us to Vermont where we have discovered a very delicious pulled pork sandwich that we would love to share with you today! 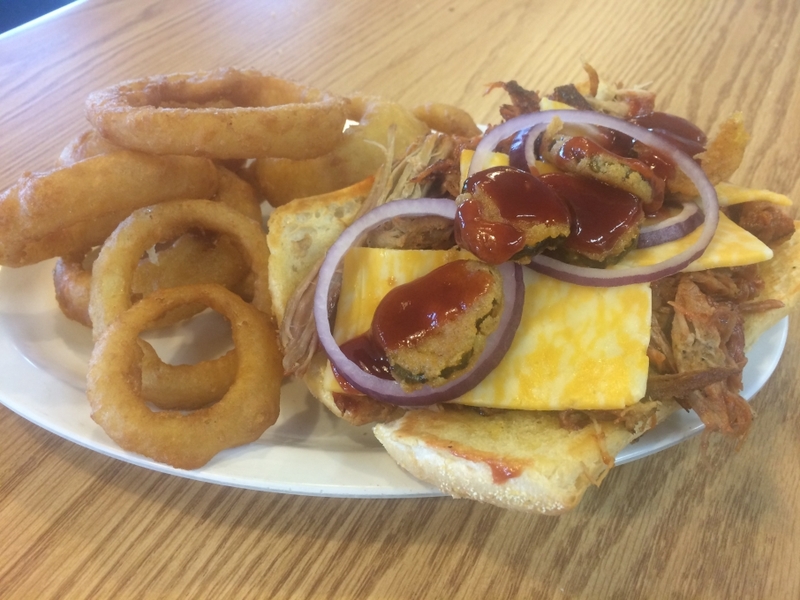 We have BBQ pulled pork topped with colby jack cheese, fried pickles, and red onions on a turano baguette with a side of onion rings for $9.50! Soups today are Tomato Tortellini, Broccoli Cheddar, and Cream of Mushroom as well as Chili, Chicken Noodle, and Lobster Bisque! Have a great day Vermont! Today we have a special honorary battle royale for you! We couldn’t decide if we should go to North Dakota or South Dakota next so we are letting them duke it out to decide! 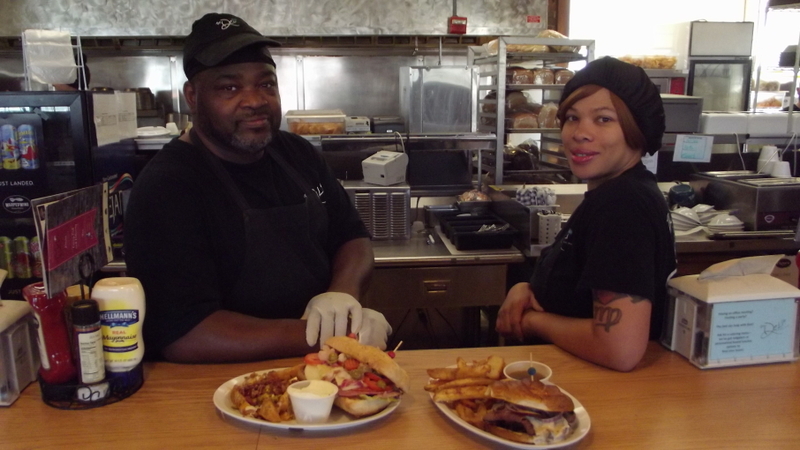 Q North Side is representing North Dakota with roast beef topped with diced portabella mushrooms, brie cheese, and caramelized onions on a pretzel bun with a side of aujus and Irish pub fries! Alan is representing South Dakota with a spicy italian! 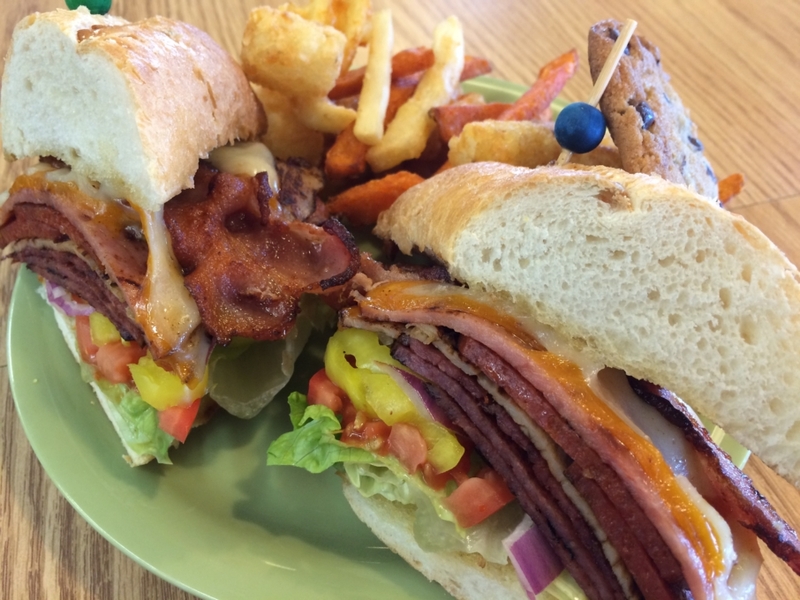 Ham, pepperoni, and salami topped with both cheddar and our super cheese blend, bacon, and jalapenos on a turano roll with a side of sour cream and wedge fries! 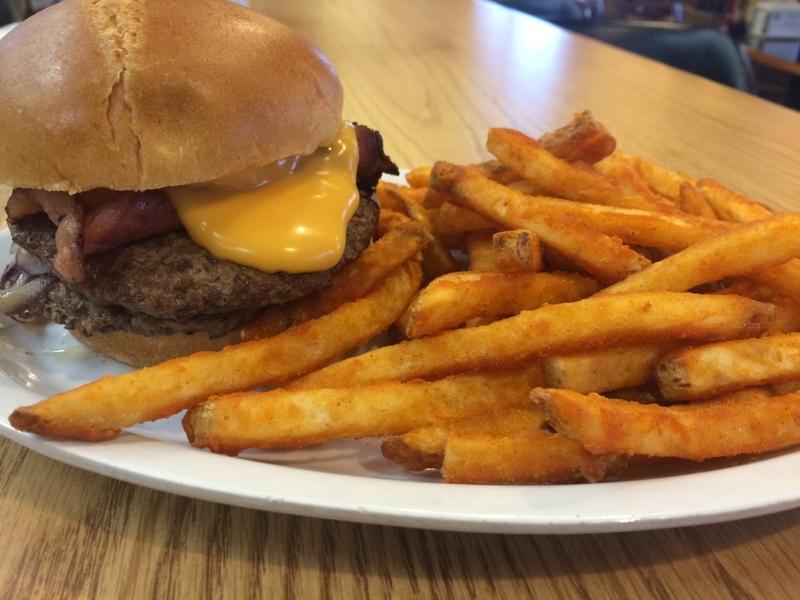 Both specials are $9.50 today and you get to decide the winner! 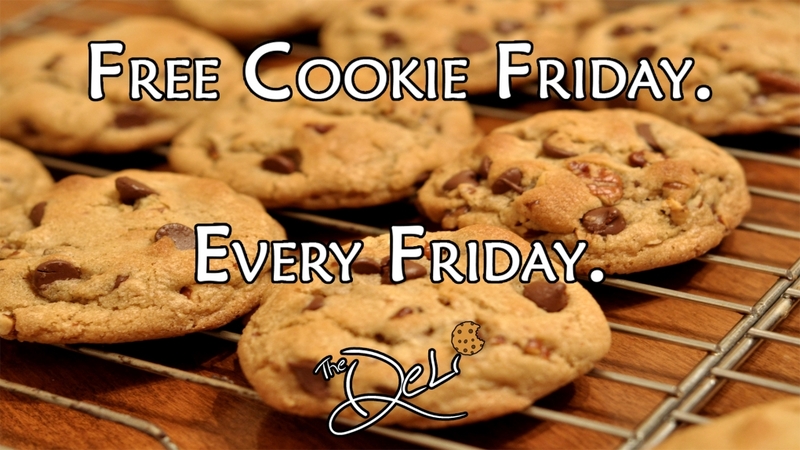 Have a great Free Cookie Friday everyone! Our next stop on our 50 state, 50 sandwich tour is the sunny Miami, Florida with a Triple moons over Mi-ham-i sandwiches. 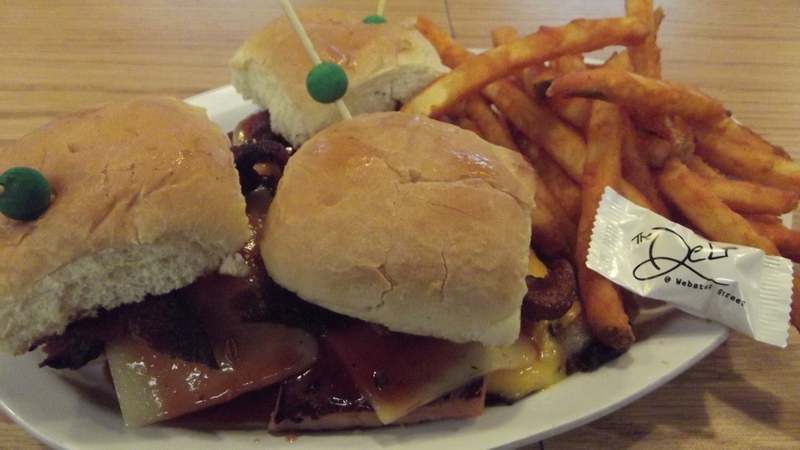 Three mini ham sliders grilled and topped with American and Swiss cheese, bacon and a Honey, Pineapple BBQ sauce served with a Cajun spiced fries, $8.50. Our soups are the Chicken and Wild Rice, Lobster Bisque, Roasted Butternut Squash, Chili, Broccoli Cheddar and Chicken Noodle. Enjoy the sunny day Florida!